HGHup is so unique it falls into a new category altogether. HGHup is the worlds first hANh. (Hybrid Anabolic / Near Hormonal); which is defined as a product that engages a synchronization of natural and exogenous factors to produce a pronounced anabolic and hormonal response. The distinct advantage of a hANh is that the user is able to obtain maximal physiological benefits comparable to that of fully hormonal products while minimizing potential side effects and disruption of endogenous factors post-usage. HGHup? 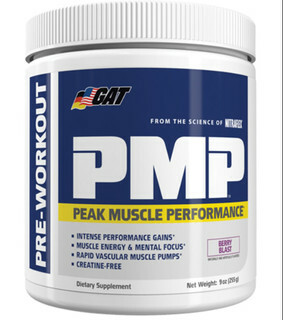 promotes radical increases in serum HGH and testosterone levels without a prescription. 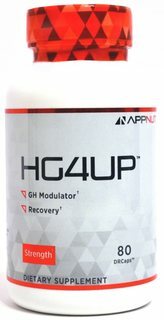 It is the one of the few orally viable compounds that is proven to increase HGH in human subjects (48). Take 5 capsules before bed on an empty stomach. Ingredients: Gelatin, USP Talc, NSF Carnuba, Silicon Dioxide, Magnesium Stearate, Candurin Silver Fine, FD&C Blue #1, FD&C Red #40, FD&C Yellow #6, FD&C Yellow #5. This product is only intended to be consumed by healthy adults 18 years of age or older. Do not use if you are pregnant or nursing. Before using product, seek advice from a physician if you are unaware of your current health condition or have any pre-existing medical contrition including by not limited to kidney disease or if you are taking any prescription or over the counter medication. Do not use if you are pregnant, nursing, prone to dehydration of exposed to excessive heat. Discontinue use and consult your health care professional if you experience any adverse reaction to this product. Before beginning any weight loss program, consult your health care providers. Store at room temperature and avoid excessive heat. Do not use if inner safety seal is broken or missing. KEEP OUT OF REACH OF CHILDREN. Gelatin, USP Talc, NSF Carnuba, Silicon Dioxide, Magnesium Stearate, Candurin Silver Fine, FD&C Blue #1, FD&C Red #40, FD&C Yellow #6, FD&C Yellow #5.